Becky here from Bite of Delight, and I’m so excited to share this fun recipe with you! 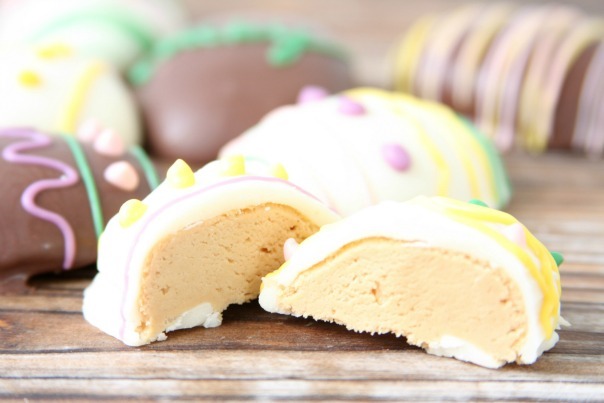 Peanut Butter Cookie Dough Easter Egg Truffles are an easy and delicious way to make your Easter a little sweeter this year. They are simple to make and they only take a few ingredients that I always have in my pantry. One of our favorite cookie recipes is a simple peanut butter cookie that only has 4 ingredients for the dough, so I thought this was a great start for making peanut butter truffles! I had to remove the egg from the cookie recipe since I wasn’t going to bake it (and it’s best to avoid eating raw eggs), so after a little bit of experimenting, I ended up with this easy and delicious filling for truffles. You can use any kind of chocolate that you like…white, milk, semi-sweet, or even dark. Whatever you like best with peanut butter will work for dipping your truffles. 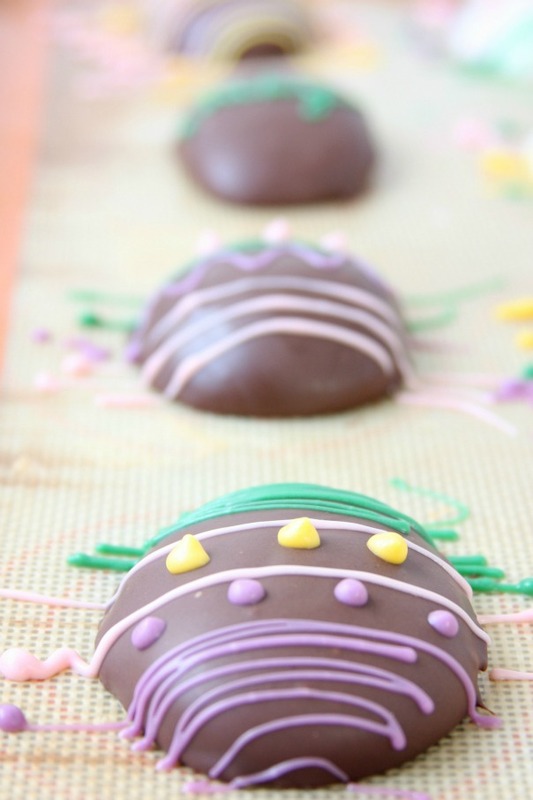 Then just decorate with some candy melts and you’re ready for Easter! The filling is too soft to work with at room temperature, so it needs to be chilled before you can work with it. Once it’s chilled it’s a little too firm to work with, so I like to gently form it into a basic egg shape before I chill it. I just mold it a little bit with my fingers while it sits on the baking sheet. Then I chill it for 15 minutes and finish molding it into its final egg shape (again, with my fingers while it sits on the baking sheet). I chill it one last time, and then start dipping! Mix peanut butter, sugar and coconut oil until well-combined. Using a medium cookie scoop, divide into 12 portions. The dough will be very soft. Gently form into a basic egg shape, but don’t try to get it perfect. Leave it on the pan as you form the egg shape, as it will be too soft to pick up. 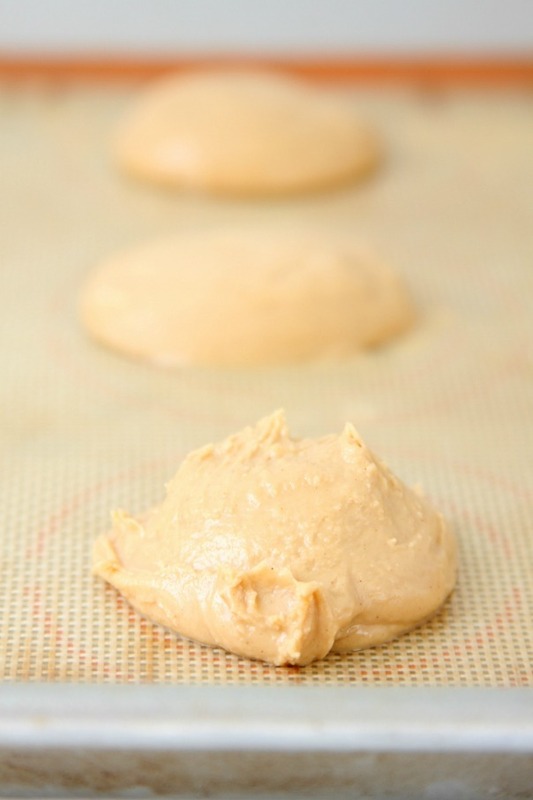 Once all the peanut butter dough is in a basic egg shape, chill it in the fridge for 15 minutes. Once the cookie dough is firm, finish pressing it into its final egg shape. Return to fridge for 15 minutes to re-harden. Once dough is firm, remove from fridge. Melt chocolate according to package directions. Working with one peanut butter egg at a time, place in the melted chocolate and cover completely. Remove with a fork and tap gently against the side of the bowl to remove excess chocolate. Using a toothpick, push the chocolate peanut butter egg off the fork and back onto the baking sheet. Repeat with all peanut butter eggs. 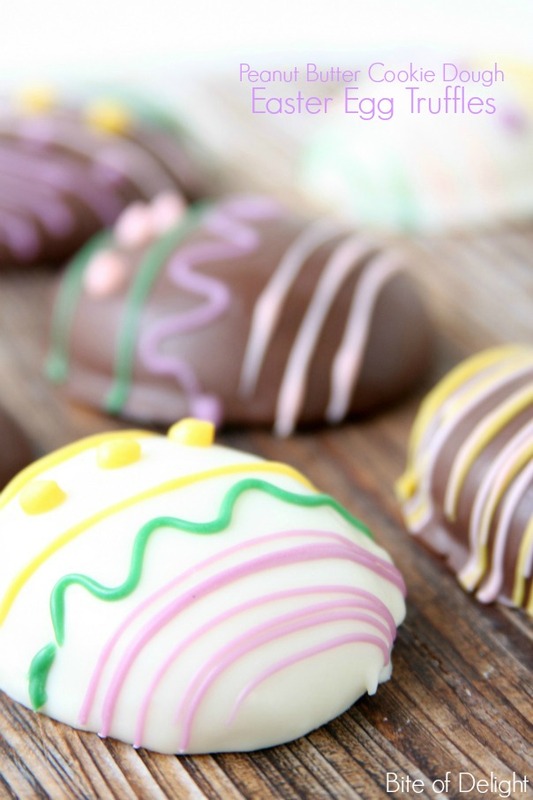 When all eggs are dipped and the chocolate has hardened, melt the candy melts according to package directions. Spoon into a sandwich bag and make a very small snip on one corner. Pipe desired decoration onto eggs. Be creative! 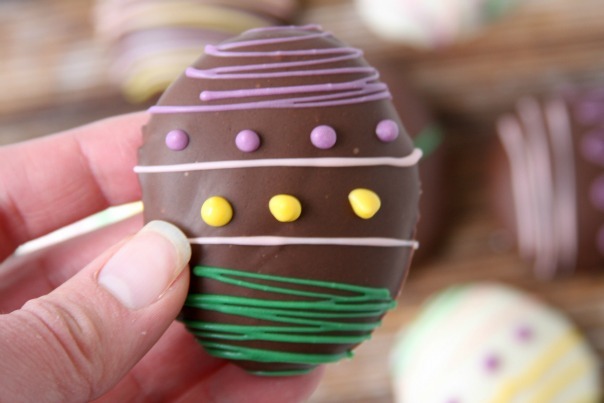 If using sprinkles, decorate the eggs before the chocolate has hardened. We keep our fridge pretty cold, so it’s possible that your fridge might need more time to get the dough to harden. Just check it, and if it’s still to soft to work with, chill it for a few more minutes. I love the hint of coconut flavor from the oil, but if you don’t prefer the coconut, just use melted butter instead. If you are interested in other delicious treat ideas I have more ideas on Bite of Delight!